Following the low FODMAP diet any day can be tough, let alone on a holiday. Don’t fret. As long as you have a plan, you’ll be able to stick to the diet seamlessly! Whether you’re on the low FODMAP diet or not, everyone will rave over this Low FODMAP Pecan Pie recipe. The crust is pretty simple to make so there’s no need to rush out for those store-bought varieties. You’ll just combine almond meal/flour, oat flour, salt, maple syrup and butter until you form a dough. It’s easy to make homemade oat flour. Just take your old fashioned oats you eat for breakfast and toss them into a coffee grinder for 20-30 seconds. There you go…flour! Your best mixing tool for this pie crush dough is your hand 🙂 Don’t be afraid to get your hands a little bit messy. Plop the dough into the center of a greased pie pan and then start pressing it until it covers the bottom and sides of the pan evenly. Bake off the pie crust for about 10-minutes prior to adding the Low FODMAP pecan pie filling. While the pie crust is in the oven, get started on the filling. First, you’ll toast the pecans by placing them on a tray in the toaster oven for a few minutes. Keep a close eye on them so they don’t burn, but you will want them to have a slight nutty fragrance. Allow the toasted pecans to cool in a bowl prior to giving them a rough chop. Make sure to set aside about 10-20 of the pecan halves to use for pie decoration later on! Next, you’ll mix together the butter, sugar, maple syrup, vanilla, salt, and eggs into a bowl. Fold in the chopped pecans. Pour the pie filling into the crust and then carefully place your decorations along the rim. Bake the pie for 35 to 42 minutes, or until its slightly browned along the rim and a toothpick comes out clean when inserted into the middle of the pie. Allow the pie to cool completely before slicing it up. Once you slice this pretty little thing up, people won’t be able to put their forks down! 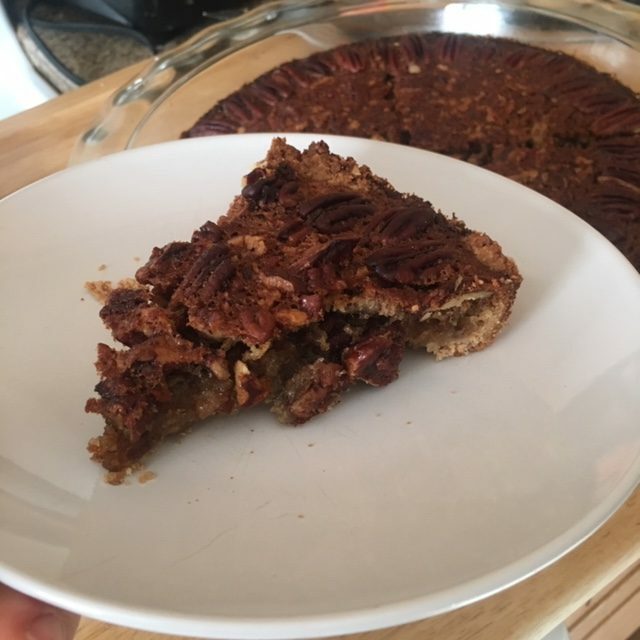 This Low FODMAP Pecan Pie is an absolute MUST for your Thanksgiving meal this year. Following the Low FODMAP in social situations is no easy feat. 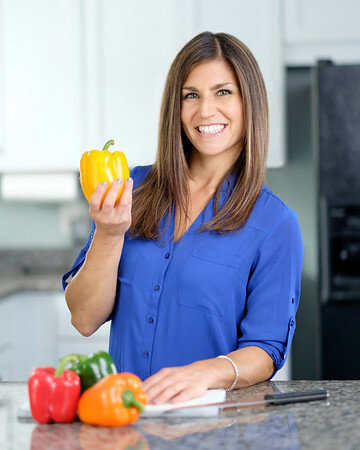 You have to know what’s in your food and be aware of the proper portion sizes that comply with low FODMAP restrictions. 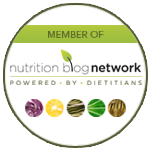 Let’s work together to come up with a plan for your low FODMAP diet success! In a medium mixing bowl, combine the flours, salt, maple syrup, and butter. Mix the ingredients together with your hands until a dough forms. Grease a 9.5-inch pie pan. Press the dough into the pie pan until it spreads across the surface evenly. Make sure to press the dough up the sides of the pan. Bake the pie crust for about 10-minutes and then set a side to fill it up later. Meanwhile, make the pie filling by mixing together the syrup, sugar, butter, salt, vanilla, and eggs. Fold in the cup of chopped pecans to the mixture. Pour the pie filling into the crust. Then, use the pecan halves to decorate the rim of the pie. Bake for 35 to 42-minutes, or until a toothpick comes out clean. Allow the pie to cool completely before slicing. *Grind raw old fashioned oats in a coffee grinder until they turn into a flour texture (~20-30 seconds). **Place raw pecan halves in the toaster oven until slightly fragrant. Set aside in a bowl until you're ready to use them in the recipe.